Go Jauntly is a multiple award-winning free community-based app that encourages people to discover new walks and curate and share outdoor adventures with friends and the wider community. Why? Simply because walking and being outdoors is fun, free and really good for you, physically and mentally. Through my work on Vestd I met the team at digital product and design studio Furthermore and collaborated them on their new venture, the wonderful Go Jauntly. 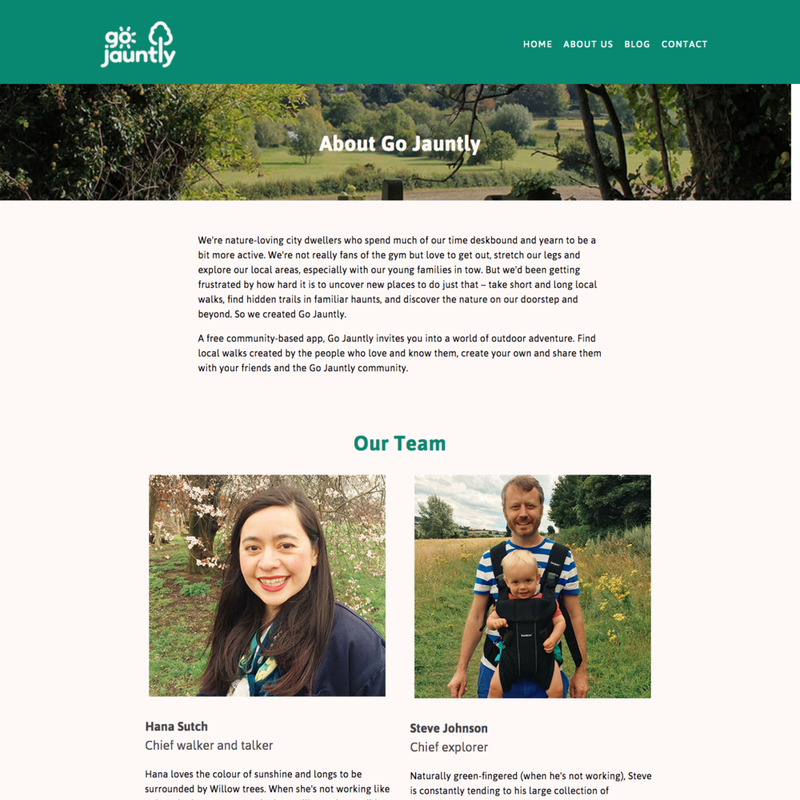 I worked from the outset with the team to create the voice and identity for Go Jauntly, creating a tone of voice master document to help guide their language across channels. 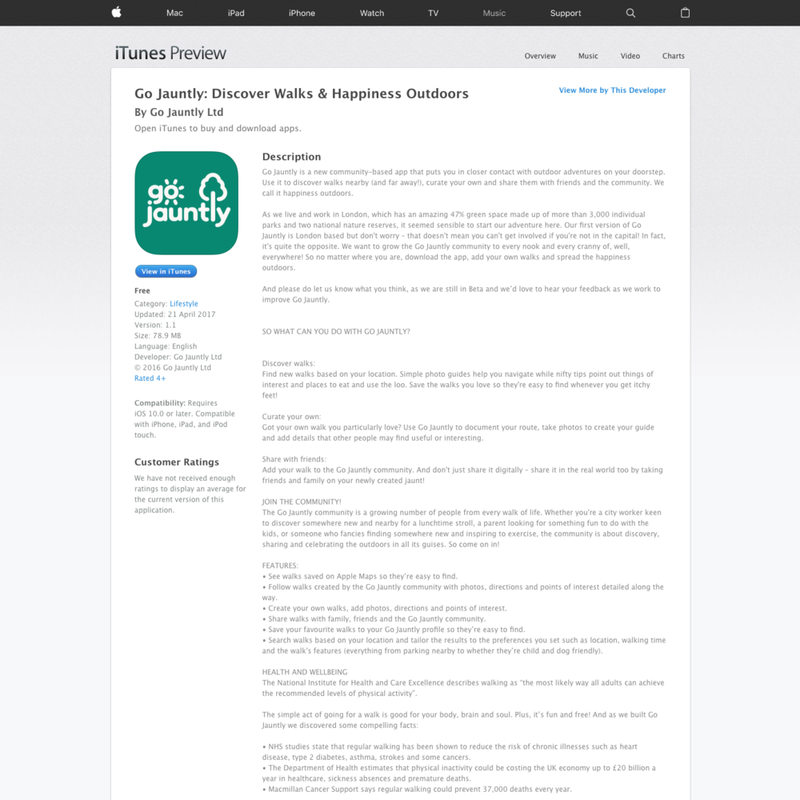 I then wrote all website copy before moving onto the app, working on and refining user journeys and creating all the in-app copy. Go Jauntly has gone on to garner lots of public and media interest (a 6,000% uptake increase in 2017!) and won lots of awards across digital and health sectors. Nominated as one of the top five lifestyle apps in the world for the 2018 Webby Awards (the digital Oscars), it also won the Mayor of London and Transport for London Civic Innovation Challenge for Active Travel 2018, the People’s Choice Digital Agenda Impact award in the Cities category 2018, and the Ordnance Survey Geovation accelerator programme. It remains one of my favourite ever projects.